Home News Buzzing News Is Chance the Rapper Actually Heading to Clark Atlanta University? 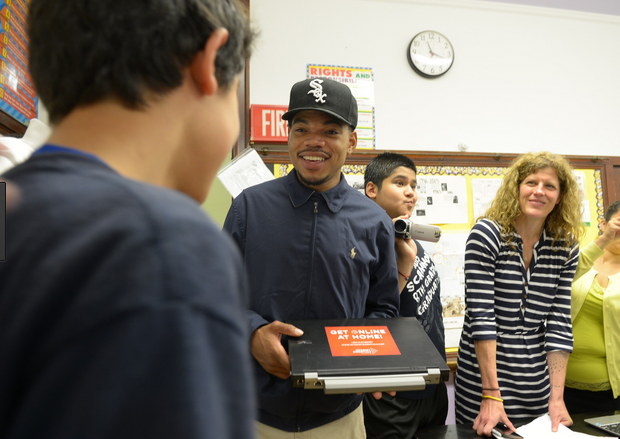 Chance the Rapper wants to study at Clark Atlanta University and CAU would love to have him. Clark was quick to respond to the Chicago native who will be known as Chancellor Bennett on his diploma one day. Officials tell us they’ve made contact and have learned that attending Clark has been a longtime goal – one they want to help him achieve. “Chicago students travel to Atlanta for the very education and cultural experience that our city has to offer and we welcome Chance with open arms,” Getchel L. Caldwell II, Senior Vice President for Institutional Advancement and University Relations, said in a statement. Former First Lady Michelle Obama made a cameo appearance via video message at the 2017 BET Awards to congratulate Chance on being honored with the Humanitarian Award recognizing his activism and philanthropic work in Chicago. “Barack and I are so sorry that we can’t be there tonight in person,” she said. “But please know we are there with you in spirit and we are so incredibly proud of you, Chance. This video clip, which highlights Chance’s work with the young people of Chicago and concludes with Obama’s remarks, is online here. Clark Atlanta plays Grambling State for the 20th Annual Football Classic in Chicago soon – maybe they can arrange a get-together?